It’s difficult to discern a person’s real personality from a meeting or two, and when it comes to choosing something as personal and important as a carer for your child, making a decision can seem impossible. 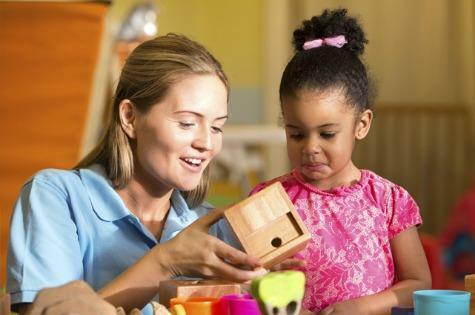 Here are a few essential skills you should be looking for when choosing a nanny. As with most things in life, communication is key, especially when it comes to the care and wellbeing of your children. Knowing that your nanny can be contacted and responsive at all times is extremely important. Furthermore, a great nanny will initiate communication so they are on the same page as the parent and working together to ensure they are in line with the aims and wishes of the parent. Often, nannies will even provide detailed reports or diaries detailing your child’s whereabouts and activities each day. A professional nanny will have up to date First Aid and CPR certificates. So if you’re someone looking for nanny jobs in Melbourne, ensure you obtain First Aid and CPR certification, or if you’re a parent looking to hire a nanny, it’s important to ensure that the person you are hiring holds current qualifications. The odds are that, at some stage, your child is going to get into some sort of trouble and need basic First Aid. In fact, it’s a good idea for parents to also attend First Aid training courses. Children have a habit of putting weird things into their mouths, climbing onto things, pulling things down from high shelves and opening kitchen cupboards and drawers. It’s impossible to keep an eye on them at all times, so it’s important to be prepared for accidents now and then. As far as hiring a nanny goes, you want to be sure that they can handle an emergency. Going over emergency procedures with your nanny can also give you a good insight into their reliability if, or when, an issue does arise. As well as professionalism, one of the most important attributes a great nanny will have is the ability to connect with your child in a playful manner. The next best thing to Mary Poppins and her talking goose umbrella is someone with the energy to explore the world in a playful and educational way. Children are naturally gifted with the ability to make games of even the most seemingly mundane activities like hanging out the washing, so having someone who can join in their adventures is ideal. A great nanny will also be educated or experienced enough to understand the various needs of different stages of development from newborn to toddlers and up. Each six month bracket brings with it new challenges and having someone who is knowledgeable about a child’s growing needs can be a godsend, especially for first time mothers. Punctuality is a positive attribute for any professional; especially when it comes to nannying and ensuring parents are able to get to work on time, children are fed, naptimes are kept to a routine and school pick ups and drops off are done on time. Part of being a parent is learning time management skills, rushing from one place to the next until that final breather moment once kids are in bed of a night. Having a great, punctual nanny can make a world of difference to daily stress levels. Giving your child the best chance in life involves raising them on nutritional food, instilling good eating habits, teaching them to care for their bodies, and ensuring they have the energy to grow and play. Nutrition is so important for people of all ages, and making sure your child develops healthy eating habits is a great gift to give. A good nanny will understand and be on board with this. The last thing you want is a nanny who feeds your child junk all day to keep them happy. Respect of privacy, limitations and knowing that parents have the final say when it comes to raising their children is essential for a good nanny. Respect goes both ways, but it’s important to have someone who appreciates boundaries. There’s always going to be an element of the unknown when hiring a nanny. The last thing to remember is to go with your gut, and as much as possible try to involve your child in the decision making process. See how they initially interact, a child’s intuition is generally much keener than an adult's. I agree with your points and these are considered as important for the growth of our children in the right way. Presently I work for https://www.traditionessaysonline.com/pricing.php for past 1 year. The improvement behind this unequaled printing plan depends on the power of PCs consolidate with do my paper for me advance in printing method. For whatever length of time that I make a decent showing with regards to, I trust what’s to come will deal with itself, essay help uk all things considered, I like particularly being in chosen office and there is no thought about doing anything distinctive until the point when I can be guaranteed that we will have the best voting frameworks in the nation. I concur with your focuses and these are considered as essential for the development of our youngsters in the correct way. additionally, We give proficient help various extraordinary highlights that make our work unmistakable from others. Aside from expositions, we additionally serve in postulation, thesis, task, book report and other scholastic compositions. We have essayists more than 50 fields gaining practical experience in their individual subjects.